SPOT allows every driver to have pristine, impeccable carpet and fabric upholstery. Whether using SPOT to treat a large area or a persnickety, set-in stain from juice or stubborn dirt, the results are Spotless. While some carpet and fabric cleaners leave residues that attract dirt for future stains and spots, SPOT does not leave film and will keep the surface looking flawless. 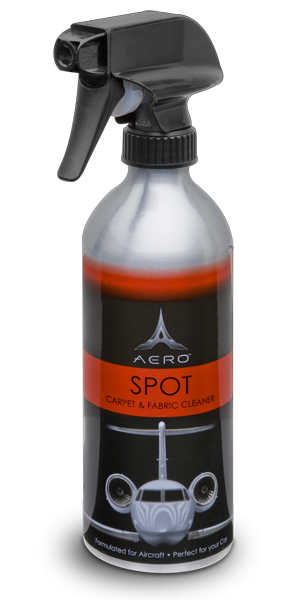 SPOT, which is perfect for colorfast carpet and fabric surfaces, is an all natural cleaner making it both biodegradable and perfect for your car.